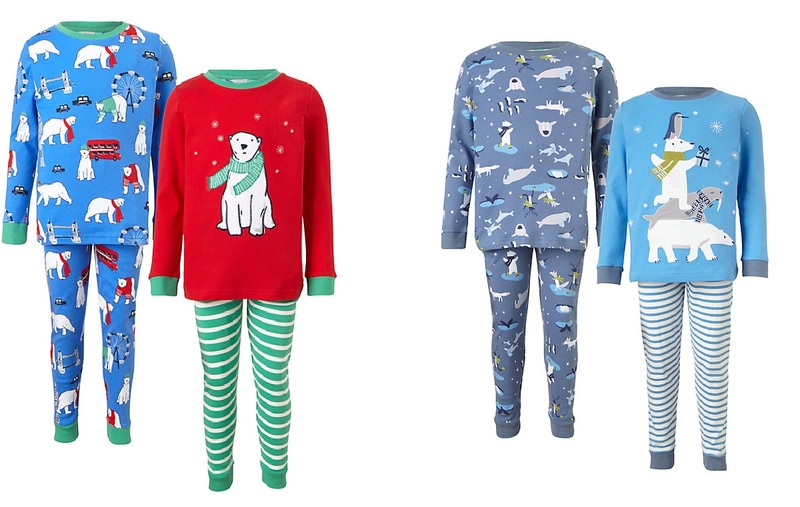 Christmas Eve Pyjamas – Our Top Picks! 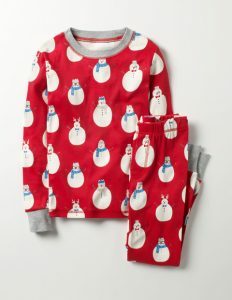 Like many families, it has become a Christmas tradition to open one present on the evening of Christmas Eve and it’s always a new pair of pyjamas. 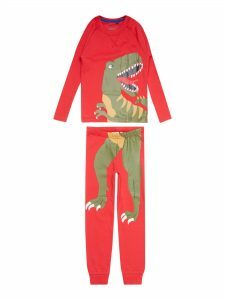 We have put together our top picks of children’s pyjamas to gift this Christmas Eve! After a busy day’s adventuring, these long johns are just the thing to slip into. They’re crafted from 100% cotton and feature an elasticated waist for a super-comfortable fit, as well as arm and ankle cuffs to keep in the warmth. All sorts of strange things happen after dark: owls start hooting, hedgehogs come out to play and cosy pyjamas magically light up the night. 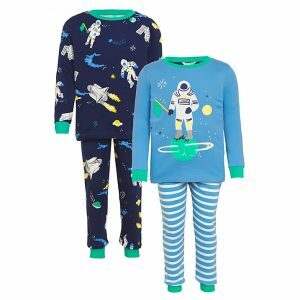 With these fun glow-in-the-dark designs made from supersoft cotton, space cadets will snooze happily while they dream of their next mission. 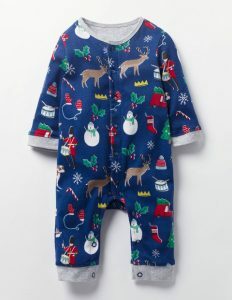 It’s always the season to look jolly in this fun romper with an all-over print. Front poppers make it easy to slip on, so it’s perfect for wrapping up double-quick to avoid those post-bath chills. The soft cotton and contrast ribbed cuffs will keep baby happy all night long. 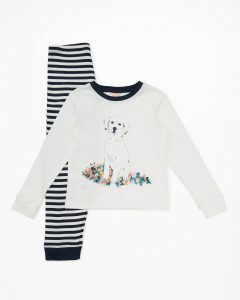 In a special collaboration with Battersea Dogs & Cats Home, Jigsaw have created these pyjamas with an exclusive puppy illustration. 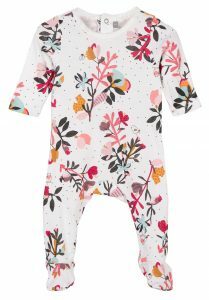 For every pair of pyjamas sold, £5 will be donated to the home. 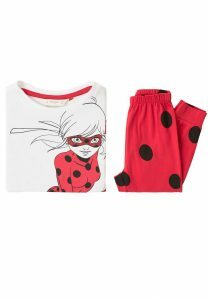 My daughters are both fans of the show The Adventures of Ladybug and Cat Noir so will absolutely love these cute Ladybug pyjamas. 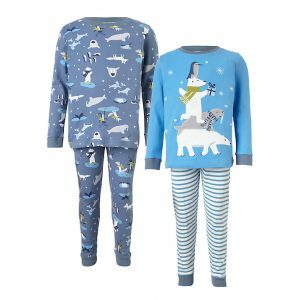 Equip their wardrobe with new options to ensure a full night’s sleep, the two-pack Winter Animals Pyjamas from John Lewis are the perfect option to help them count sheep. 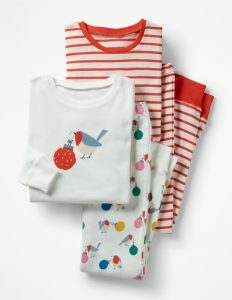 Intricately crafted from soft-to-touch cotton, these pyjamas feature a top with a crew neckline, long sleeves and ribbed cuffs; trousers with ribbed cuffs and an elastic waist. 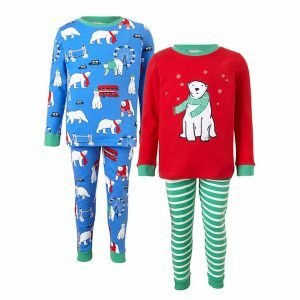 One pair boasts an all-over polar bear in London print and the other a striped pair of trousers and a scarf-wearing polar bear embellishment on the top.